The Navajo and Hopi have fought hard to hold on to coal. Three generations have worked for the West's largest coal-fired power plant, the Navajo Generating Station. The tribes have relied heavily on its revenue. So when the Phoenix-based Salt River Project announced it was shutting down the plant at the end of the year, the tribe scrambled to find a buyer or — as a last resort — purchase the plant. It finally came down to a vote late last month at a Navajo Nation Council Special Session meeting. The delegates deliberated for eight hours. "Are we ready?" Delegate Nathaniel Brown said. "Are we ready for the shutdown? I don't think we are. We stand to lose a lot, our children the future generation." Delegate Charlaine Tso said she's done with coal and its health impacts on her people. 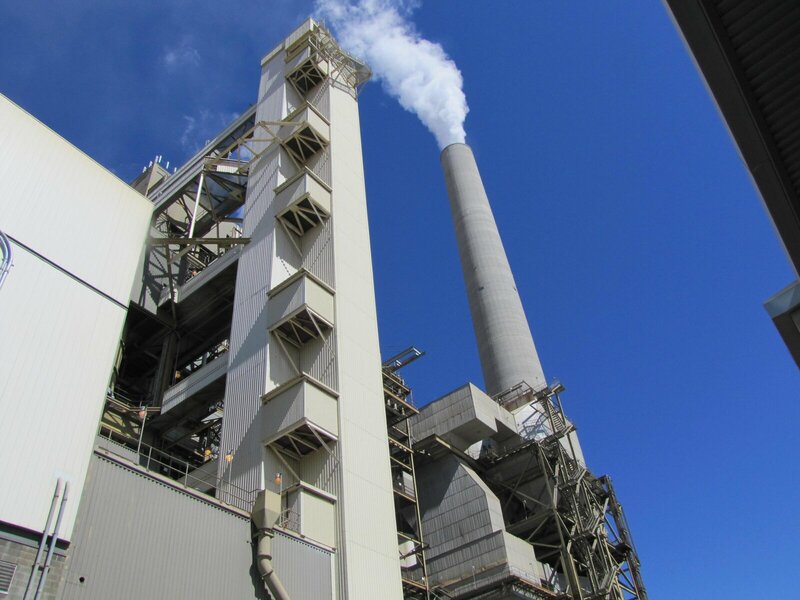 The plant is one of the country's biggest carbon emitters. "Shame on you," Tso said. "Money, money, money. It's replaceable. Enough is enough. This is the time that we're going to take a stand that we're going to come together for our people. I am ready to take on that challenge." Other delegates pointed out that many energy companies were moving away from coal in favor of cleaner and cheaper energy sources. The council finally voted against the purchase. That decision marks the end of an era. Before coal, many tribal members worked with the federal government to blast uranium out of the Navajo Nation to make atomic weapons. 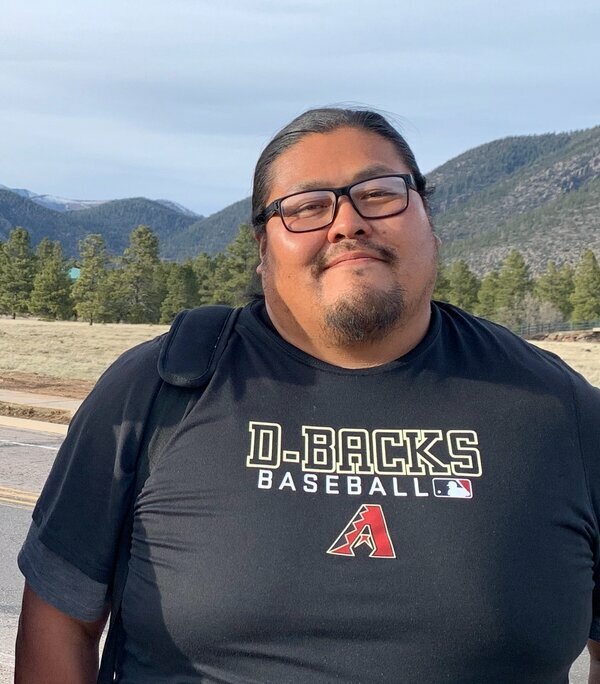 "The Navajo economy had been kinda built upon resource extraction," said Brett Isaac, who grew up next to the Peabody Kayenta Coal Mine. "I still have an uncle that works for the Peabody Energy Co. I've had other uncles and cousins and friends and ... You had a lot of people who that's the only industry and job they ever knew." So a decade ago, when Isaac started installing off-grid solar panels in people's homes, people looked at him funny. "But my family have more recently gotten more supportive with the way the world and global economy is moving towards a more renewable focus," Isaac said, laughing. "They're motivated by the fact I got in so early, into it before it was cool." It takes the benefit of something that's abundant and converts it into something useable. Now Isaac and a group of entrepreneurs have formed Navajo Power, a renewable energy company that's trying to help the tribe shift away from coal. The tribe has built two utility-sized solar farms already and it's working on a third. "It takes the benefit of something that's abundant and converts it into something usable," Isaac said. "So that aligns a lot not only with Navajo philosophy, but a lot of indigenous communities about how you responsibly source things." There's just one problem. The number of jobs at a solar farm can't compare to coal. The plant and mine supplied 800 of the best-paying jobs on the Navajo Nation and many more support jobs. Solar, on the other hand, requires hundreds of temporary employees to construct the farm, but after it's built the sun does most of the work. That's a tough sell to a tribe where half of the people are unemployed. Isaac envisions solar farms sprouting up faster than corn on the vast reservation. And he has hopes they could build a manufacturing facility to assemble the panels. "It starts with embracing change," said Navajo President Jonathan Nez, who's on board with the idea. He just signed a proclamation to make renewable energy the tribe's top priority. But he's also realistic. He knows the tribe has to invest in other economic engines, like tourism. "People all over the world come to Navajo," Nez said. "If we could keep some of our visitors here on the Navajo Nation a little longer, that's going to bring dollars and jobs." He said ultimately they have to think about cleaner jobs and a cleaner environment for their children and their grandchildren.